On Monday (ok, let’s be honest, it was really Tuesday) there was a full lunar eclipse. I was at the observatory with hundreds of people (in a town so small you can drive from one end to the other in 10 minutes) for about 6 hours. It was brutal. Not because of the work, not because of the lateness, but because of the herds of people. Oh sure, I may seem friendly on the surface, but after the first 56 people called it a ‘blood moon’ like the dead were going to rise from the grave, I started feeling a bit like Tim Minchin trying to explain how double-blind studies work to a girl named Storm. It’s not that I have a problem with people – certainly not astronomy enthusiasts. Generally, I have a problem with the media though, and in this case two things stuck out; calling it a “blood moon” as though that were special, and saying that it was a once in a lifetime event – both of which I later realized were problems of (mostly social) media. 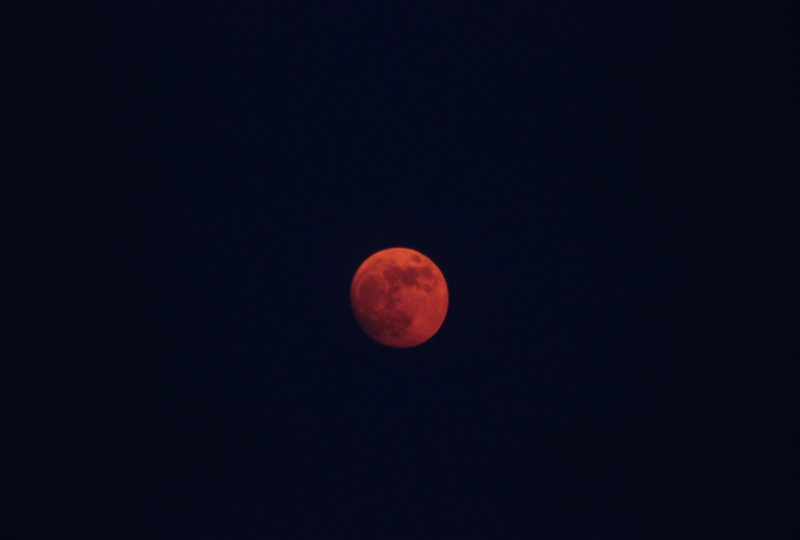 So… the thing about lunar eclipses is that they are typically orange or red. Also, they occur with great frequency, at least twice a year (although they are mostly partial so a full one is nice) and they are so, so, so not a once in a lifetime event. Like even kind of. Note the redness from this very partial lunar eclipse taken a few years ago. Of course I was overjoyed to see so many people excited over the event. Of course I was happy that lots of people came out. But there was a palpable deflation when people asked if this really was a once in a lifetime event, or if they’d ever get to see the ‘blood moon’ again like this and the answer was ‘of course’. In fact, they could probably catch another one like this many times before they died. Many people were clearly sad that this was in reality, not a once in a lifetime event. That reality, that you will be able to see something only once is very strong in astronomy. If you were alive in the 70’s-90’s, congratulations! Pluto got as close to us as it’s ever going to get in your lifetime. 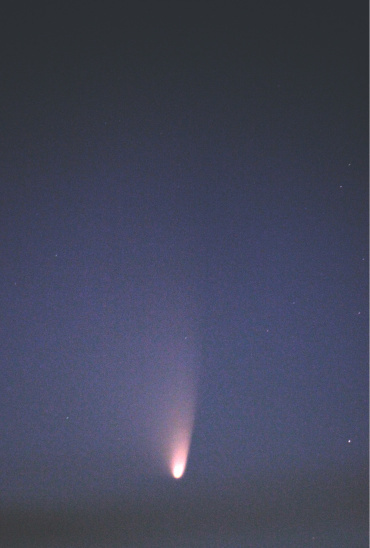 Haley’s Comet, Comet Hale-Bopp, Comet Hyakutake, and Comet Pan-STARRS were all once in a lifetime events (unless you are Mark Twain). You ain’t never going to see this again. 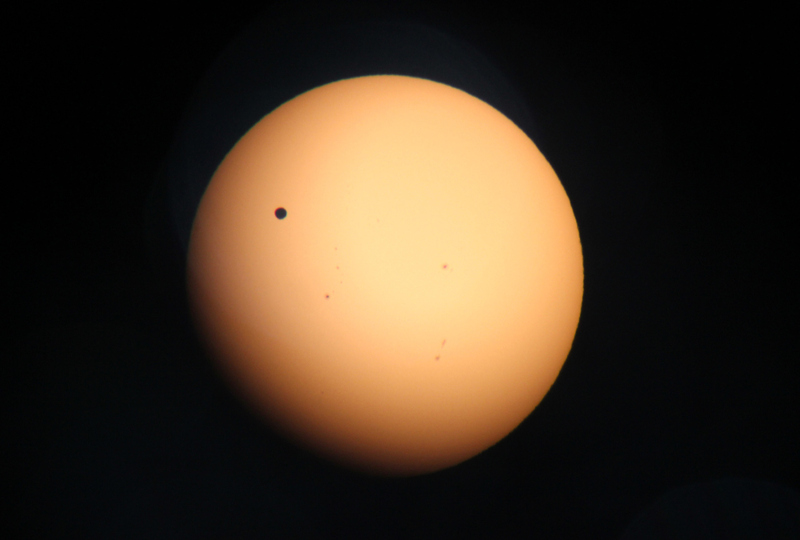 The Venus Transit was most definitely a once in a lifetime event (or twice in a lifetime if you were paying attention in 2004). I almost cried that day. Not even kidding. And there are plenty more where that came from. If you were alive when Voyager 1 and 2 were launched, well, there was a planetary lineup that hadn’t happened since Jefferson was in office. Sedna (my favorite planetary body EVER) will be at its perihelion (closest point) in 2076. I’ll probably live that long! Proxima Centauri is the closest star to us right now, but it hasn’t always been, and it won’t always be. 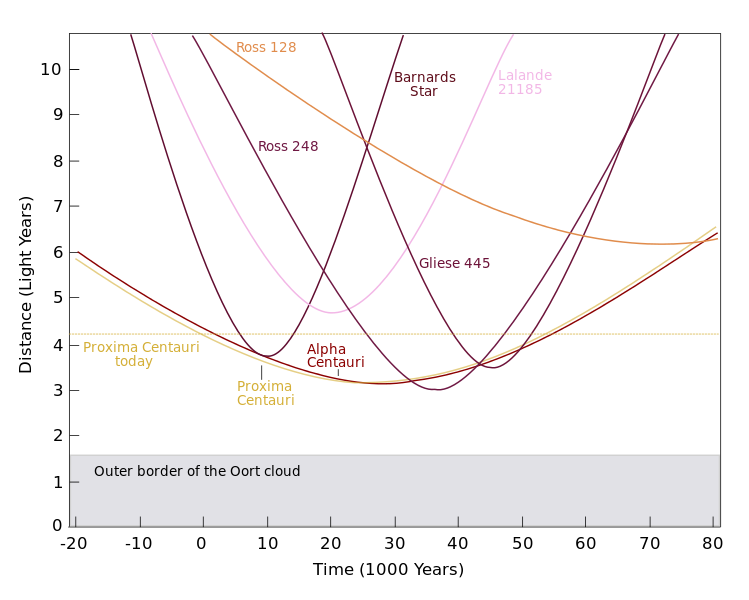 In 10,000 years, Barnard’s Star may be closer to us than Proxima Centauri, and in 30,000 some-odd years, Ross 248 will be closer to us than Proxima is now. See that? You are living the dream even as we speak. And this is just astronomical phenomena. We haven’t even talked about discoveries and human firsts. There are so many astronomical discoveries that have occurred within your lifetime (even if you were born 12 months ago), I could make nothing but episodes on those, and I would never be finished. My point is, firsts and once-in-a-lifetime events are nice, but they’re not the most important part of astronomy. They add to the pile of cool stuff, but they are not the pile itself. No matter how common or how rare, it’s the experience, that counts. Also, if you provide said guitar riff, I can promise I’ll use it in an episode on black holes. Awesome! Also, I’m always serious when Muse is involved.